Following on from the success of Dublin Games Summit back in July, the team at Aeonspark Events have sent on a breakdown of what to expect from their next gaming focused event, the Dublin Games Festival, happening in the RDS Main Hall on November 24th. It looks like it’s shaping up to a great event! Esports is one of the worlds fastest growing sports and at DGF this will be one of the highlights. Working with RAID (Irelands premier esports production company), GFD.ie (Irelands top AV companies), the Esports arena in RDS will showcase the best of the best. 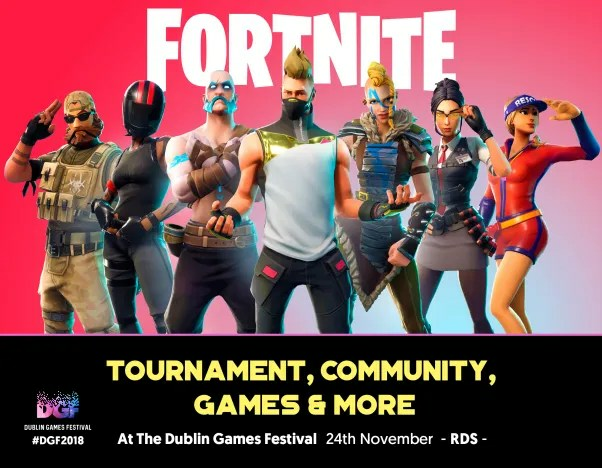 On show will be Fortnite, currently the world’s largest game and what better way to showcase Fortnite at DGF than to have Epic Games (Publisher) backing the competition and hosting one of Europe’s largest Fortnite Tournaments (100 PC’s). The other top esports titles DGF will be running are League of Legends, Super Smash Bros, Overwatch, Rocket League and CS:Go. RAID will be hosting qualifications of League of Legends, Overwatch and CS:Go prior to the event with the finals live on stage and Fortnite, Super Smash Bros and Rocket League will all be played out live at the event from start to finish (With the finals also being on the main stage). There are cash prizes all on offer for each tournament also. There will two main sections at the festival this year where guests can come and play all types of new and old titles. The Community Games area will focus heavily on new titles from some of the top publishers in the world and will ensure fair use and play time is adhered to; to give access to as many players as possible. 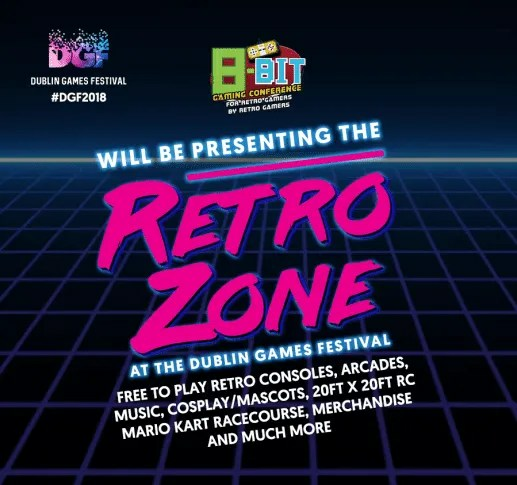 The Retro Zone (Hosted by the successful 8-Bit Conference) will also be represented and will have a wide selection of nostalgia-inducing paraphernalia ranging from arcades to free to play consoles, mascots, cosplay, music and more. On show at this year’s festival will be a variety of activations including children’s entertainment including balloon making, face-painting, mascots, live activities and more. There will also be a number of VR cages to experience the very best in VR for all ages. 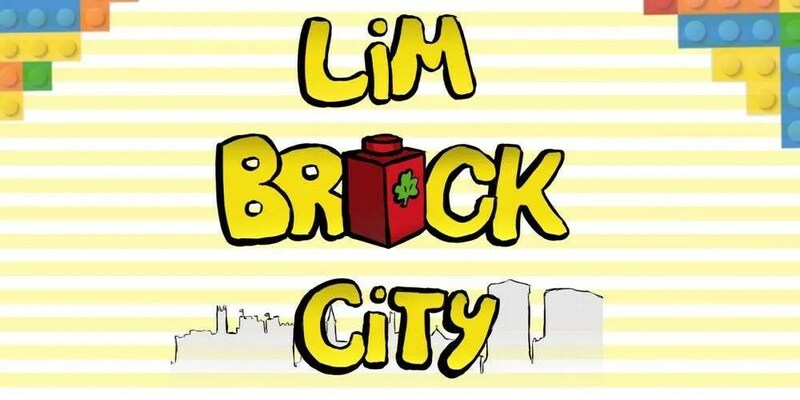 Both Brick.ie and Lim Brick City will be there showcasing some unbelievable Lego gaming inspired builds as well as a large play area where kids and adults alike can build and create. Monster Energy will be welcoming everyone to the event with music and gaming sections where you can play the latest and greatest games with a Monster Twist (Plus a very special youtube guest that’s yet to be announced). Also on site will be Ireland’s first Mario Kart RC racecourse, this 20ft x 20ft experience will allow guests to compete in old style Mario Kart Battles around the arena in a competitive 6 way elimination. 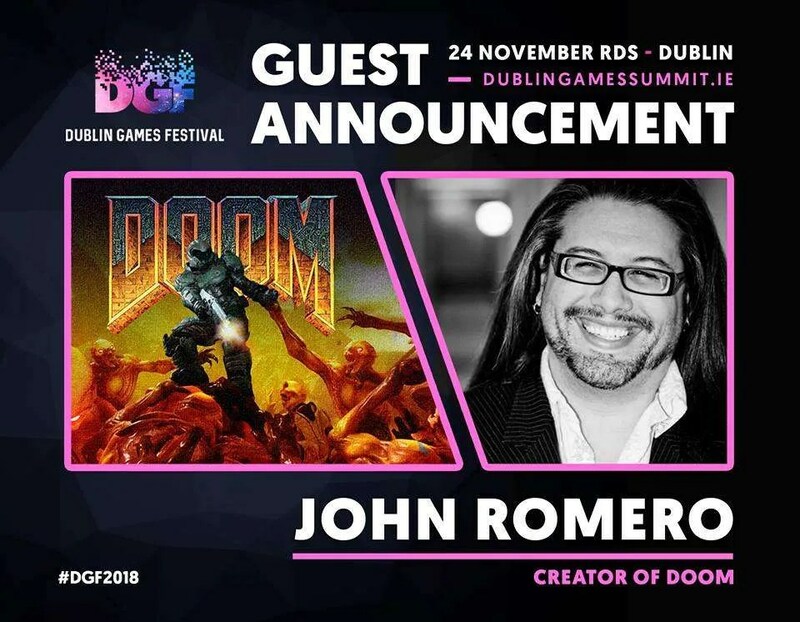 The legendary John Romero will also be at this year’s Games Festival. John is famous among the gaming community as the creator of DOOM/Wolfenstein 3D and many more world renowned titles and he will not only be meeting and greeting with the guests but will also be inviting people to battle against him in DOOM Death-matches. John will also be joining the business stage where he will be talking about his experiences in gaming, his history as a whole and taking questions from the audience. DGF has teamed up with over 20 streamers from across Youtube, Mixer and Twitch. Each streamer will be available for a meet and great (time permitting) and will be hosted on DGF’s streamer stage where they will be discussing topics from across the social platforms and answering questions from attendees as well. They will also be streaming from streaming pods throughout the event so you can catch them online as well. DGF has partnered with Geek Ireland – Ireland’s largest Geek Website and online platform accredited for successfully backing several different geek related opportunities such as the very successful Token Arcade in Dublin. 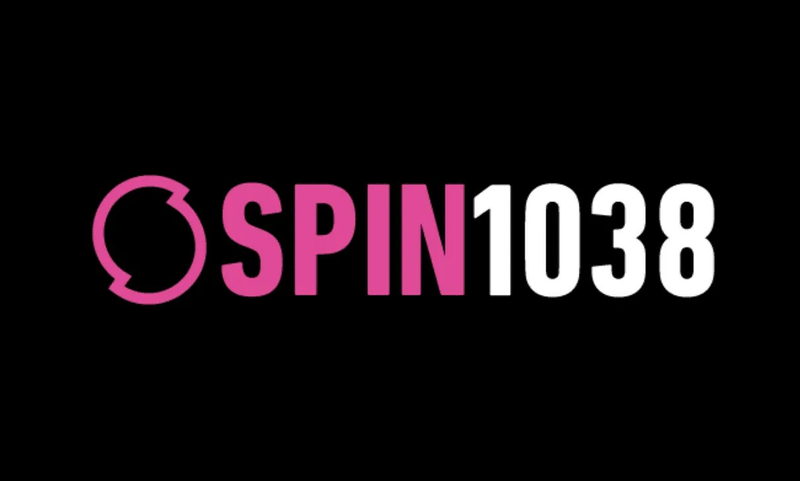 Spin1038 has been also selected as the main media radio partner. Other partners include 8-Bit Conference, Total Expo, GFD, Four Star Pizza, Monster Energy, Trust Gaming, Irish Rail and Autism Ireland with many more to be announced. 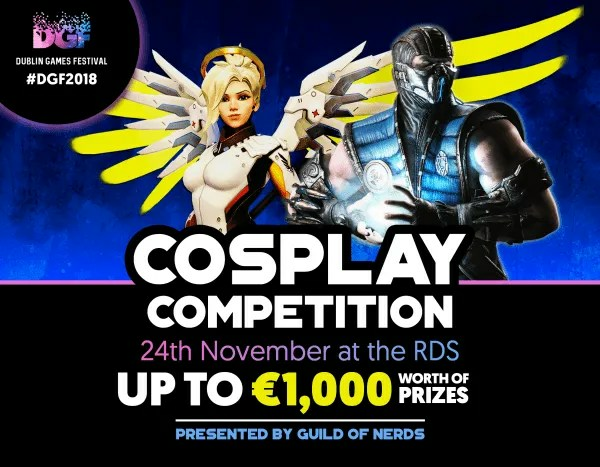 DGF is putting up to €1000 in prizes for its professional cosplay competition hosted by the Guild of Nerds and the event will be host of one of the largest gathering of gaming cosplays in Ireland. Professional, Intermediate and Beginner categories are all available and people can sign up either online or on the day of the festival. DGF is partnering up with Autism Ireland for this year’s festival to make the event as accessible as possible to everyone. DGF will be working with Autism Ireland in creating a accessibility plan to ensure that anybody can enjoy the event. This will include full detailed write-ups on sound and heat maps at the venue, detailed time calendars on excessive visuals and sound, early access from 9am – 10am, special entrance to allow free movement throughout and much more.